I received a catalogue in the mail from Garden Botanika this week. GB used to be one of my favorite mall stores until it closed up shop and went to online/catalogue business only. Anyway … they make a wonderful fragrance called Heart; it’s a beautiful, fresh, clean scent. I used to get compliments all the time when I wore it. But I realized when I received the catalogue that I haven’t worn it for a few years. Every Christmas my mother would stock me up with Heart. Heart perfume. Heart body wash. Heart body scrub. Heart lotion. Even though I came to expect it, it was still a pleasant surprise when I unwrapped the beautifully scented goodies on Christmas morning. Perhaps the best thing was the look on her face as I opened them. Giving me a gift she knew made me happy was her happiness. My sweet Mama passed away almost three years ago. The last Christmas she was with us was the last supply of Heart I received. How fitting that the woman who was my heart, consistently gave me the gift of Heart. This holiday season I hope to give love like my mother did, unconditionally and selflessly to as many people as I can. The best part of getting Heart from my mother all those years was not the physical gift, but the life lesson she ultimately taught me: Heart is the best gift you can give to others and to yourself. May everyone’s heart be filled with love, peace and happiness this holiday season and the whole year through. 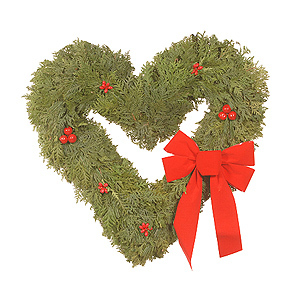 Tags: christmas, christmas gift, Garden Botanika, Heart, Mark Twain, mother, mother's love, William Makepeace Thackeray. Bookmark the permalink. Previous post ← So that’s the key?